Pearls before Swine may be one of the best comic strips published in “The Oregonian”. In this one, he again shows an odd penchant for Kentucky. I don’t know why that is. This entry was posted in Comics on October 29, 2008 by golinielcomblog. 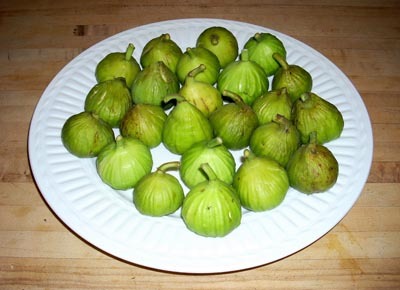 When your tree gives you figs, make jam. When choosing fruit trees to plant, we wanted something other than the usual apple, or pear trees.Â One of the trees we chose was a fig tree. Honey loves eating freshÂ figs straight off the tree, but this tree produces too much fruit for that.Â It started bearing the first year we planted it, and in fact produces two crops a year.Â We figured this fall would be a good time to try to make jam from the surplus.Â The trick for picking figs is to wait until they are very ripe and soft, and kind of droopy.Â We haven’t had good luck in ripening them off the tree.Â So, for now, we picked less than half the crop which gives us 2 dozen very ripe figs. There are plenty of recipes on the Internet. 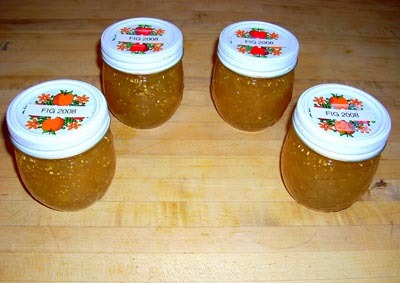 In fact we got ours here, so I am not going to repeat it.Â But is uses the usual stuff, pectin, lemon juice, and sugar. Those 2 dozen figs, made 4 jars, and its pretty good stuff. This entry was posted in Our Environment on October 19, 2008 by golinielcomblog.